Flagstaff, AZ – Inside soundproof booths across the country, friends and loved ones are interviewing each other about their lives. The booths belong to StoryCorps, a project that collects the stories of everyday people in order to create an oral history of America. One booth recently stopped in Flagstaff. Here, KNAU's Alice Ferris interviews her mother Mei-Yun Annie Lin about her journey from Taiwan to the United States more than 30 years ago. Ferris says it was her mother's moxie that got her here. Arizona clean elections law redux? Flagstaff – When most people think about the Civil War, they think about Gettysburg, Bull Run, Appomatox: battles that took place in the east. Few people realize the westernmost battle in the war took place in the stark deserts of what is now Arizona. Andrew Masich has written the first book-length account of the civil war in Arizona.  He spoke to Arizona Public Radio's Daniel Kraker. Flagstaff, AZ – Inside soundproof booths across the country, friends and loved ones are interviewing each other about their lives. The booths belong to StoryCorps, a project that collects the stories of everyday people in order to create an oral history of America. Here, Joe Day interviews his 69 year old Hopi friend Jerry Honawa (HON-awa), who grew up in Hotevilla on 3rd Mesa, but was sent away to high school in Utah. Blendu said that makes sense.